​ I wanted to make something quick and decided log cabin was probably the easiest. I used a central green square following the Amish tradition but using green instead of red as the fabrics I was using suited it better. 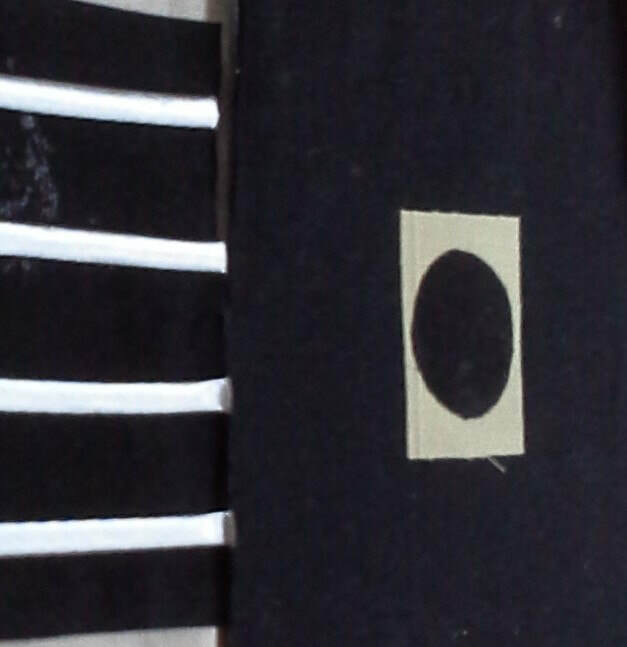 The two sides have slightly different width strips. I embroidered an A for Abbie on one side and her 18th birthday date in the central square on the other. 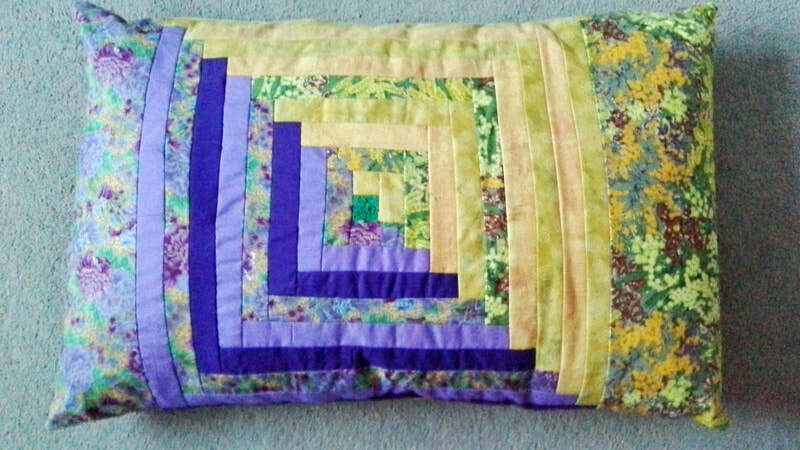 It is my intention to make a larger quilt for her using the same fabrics to match. 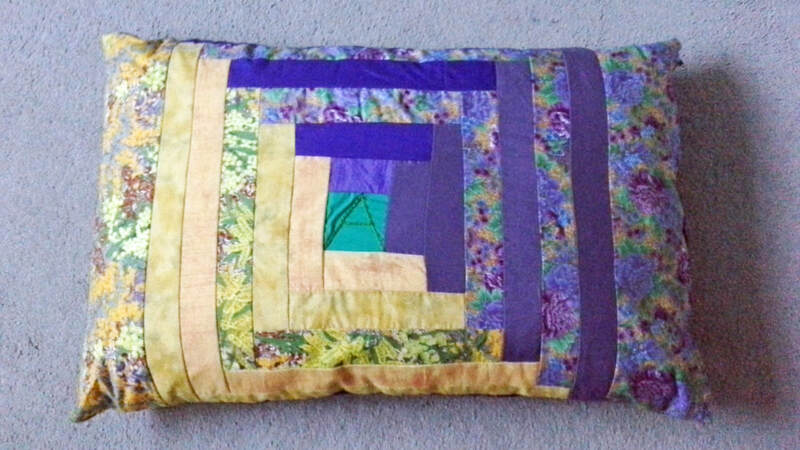 Traditional Quilt made for a family member. Frances Pickering Workshop produced this book cover. 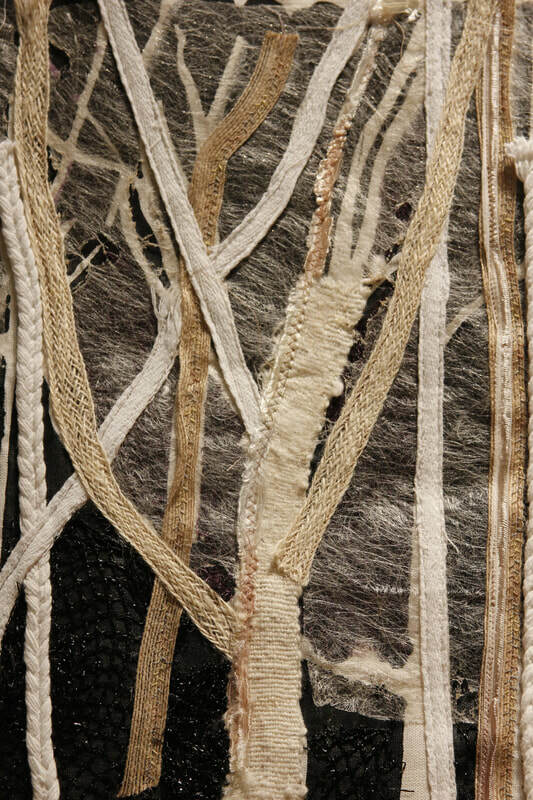 My most recent works were made in response to the theme 'Collections Re-Crafted' , which was proposed by the Eastern Region Textile Forum Committee for Saffron Walden Museum. In June 2017 we were invited to a study session at the Museum, where 2 of the Curators gave short talks on certain items from the Museum's Collection and we then had the opportunity to view all sections of the Museum to find objects of inspiration. CROCUS SATIVUS which is based on the Charter which King Henry VIII gave to the Town regarding the production of the Saffron Crocus - a much valued commodity at the time. This is a highly ornamented pice of work with stylised illustrations of the Crocus Sativus in the borders. 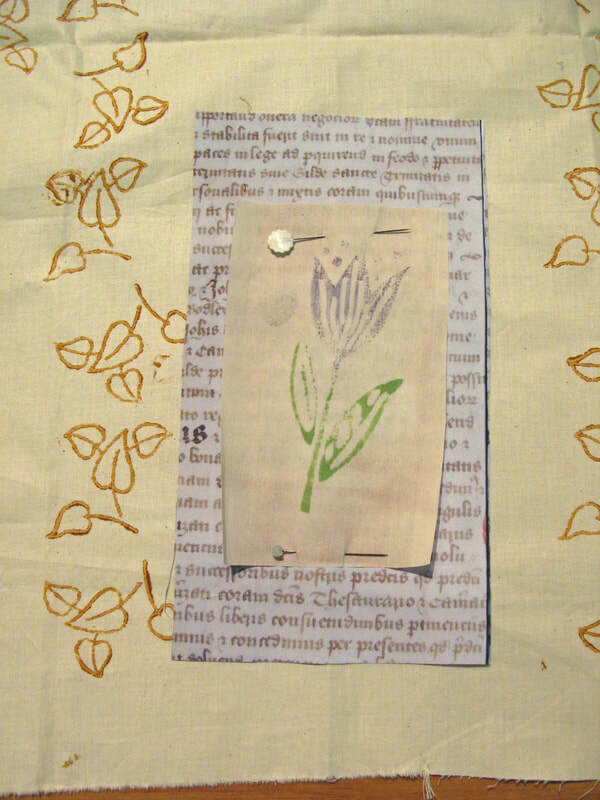 For my interpretation I decided to block print on calico a background using Indian wooden stamps and then photo-transferred parts of the Charter and stitched these to the background, along with stitched images of crocuses to which I attached beads representing the precious flower stamens. PARGETTED CROCUS was inspired by a wooden printing block, which was used to create the patterns on some of the buildings in the town - an artistic decoration which is quite local to Essex and Suffolk. Many of the buildings in the town are colour washed including one which I saw in the purple colour of the crocus. An exhibit in the Museum showed a pattern of 4 blocks assembled together and I tried to re-create this by using 4 8-inch canvasses which I painted purple. Using a twin needle I then machined rows of curved lines to mimic the block pattern but as these weren't very successful I laid couched silk threads in saffron colour between them which gave a much bolder pattern. I bonded purple silk 'petals' to the inner spaces and made a 3D crocus flower to go in the centre where the blocks came together. Unfortunately I had a problem when I came to join the blocks as, due to my own mistake, I found one of them didn't match up to the others so I had to re-arrange them - this meant my original design couldn't be achieved but I was happy with the final outcome." f​As a member of the Eastern Region Textile Forum, I am currently working on 2 pieces of site-specific work for the Saffron Walden Museum – these will be exhibited as part of a Group Exhibition ‘Collection Re-crafted’ in the Museum from October 2018 to February 2019. Pargetting – i.e. the patterns formed in the wet plaster rendering of many buildings in the town. Using King Henry VIII’s Charter (which hangs in the Museum) as a starting point I have used fabric transfer on a block printed background to portray both the lettering of the Charter and the crocus flower which appears on it, together with other stitched embellishment of varous kinds. To portray the Pargetting I have taken the design from an original carved wooden block in the Museum display and am creating stitched copies of this which I shall be mounting on 4 x 20cm painted canvas backgrounds. 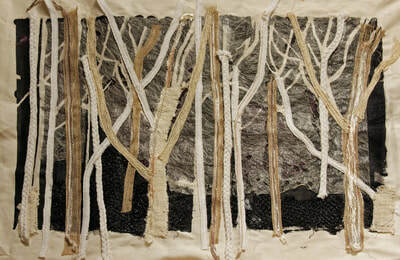 I am working on a series of pieces inspired by the birch trees at Anglesey Abbey in Cambridgeshire. 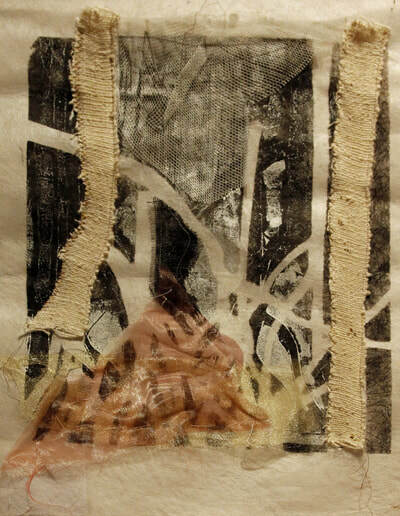 Several years ago I did a painting of the scene and also made a paper collage. Moving on from these I made a screen print using freezer paper resist which I have used as a base for one piece of work shown here and for two others, which are formed from a variety of mixed media, on mono-printed bases. 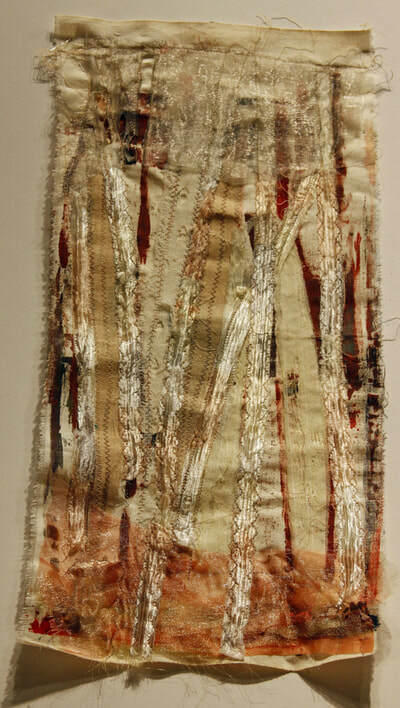 As yet these pieces are untitled.